Looking for a cute Marzano scale for your class? 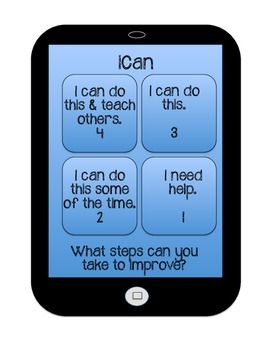 iCan gives students a visual for checking their understanding of classroom concepts and skills. This image can enlarged and printed as a classroom poster too!